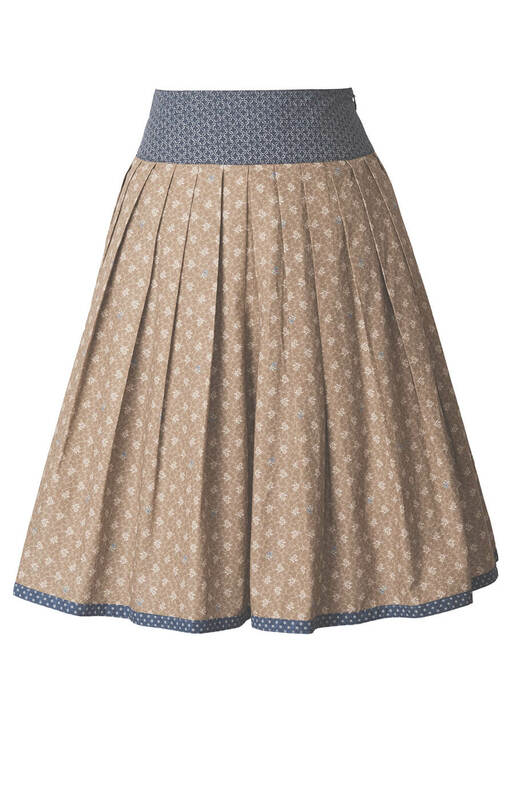 Hella beige traditional skirt. 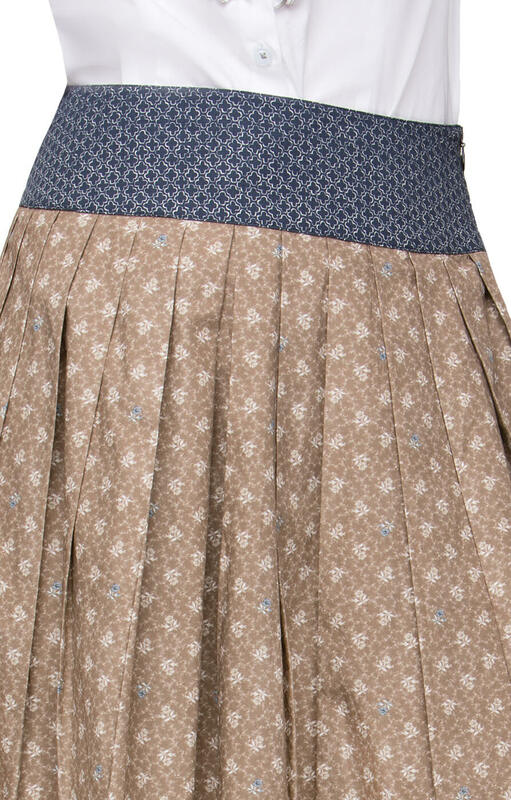 This stylish knee-length beige skirt is made from 100% cotton and printed with a subtle white rosebud design. 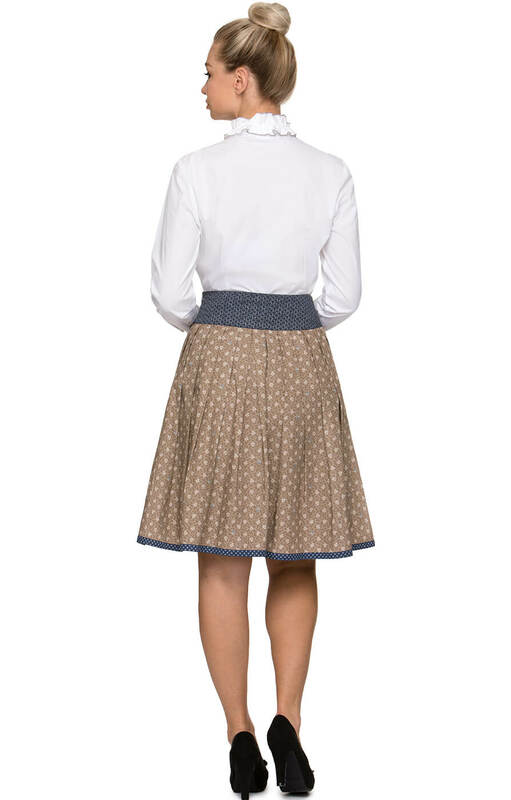 The wide navy waistband is perfectly complemented by the navy trim on the base of the skirt. 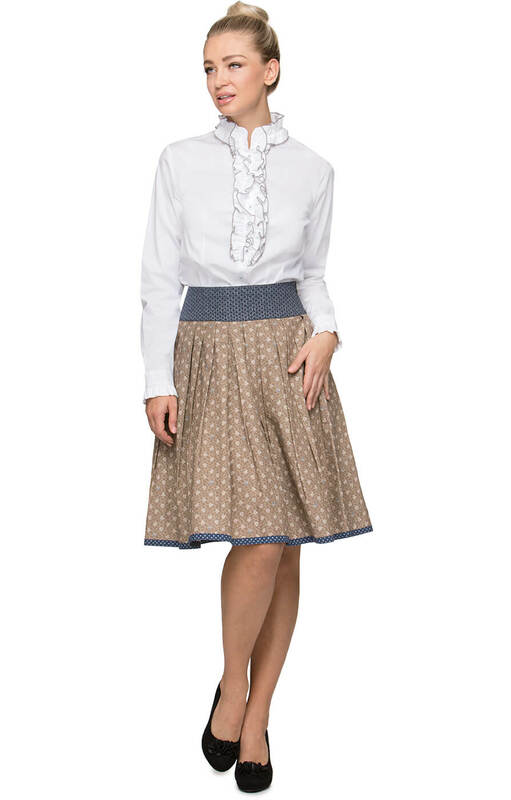 The skirt can be teamed with a white blouse to recreate the traditional Bavarian style of dress for an event such as Oktoberfest. es passt einfach alles !